Tamina w/ Nia Jax defeated Sasha Banks w/ Bayley after Nia tossed Bayley onto the floor mat and distracted Sasha allowing Tamina to hit a super kick for the win. 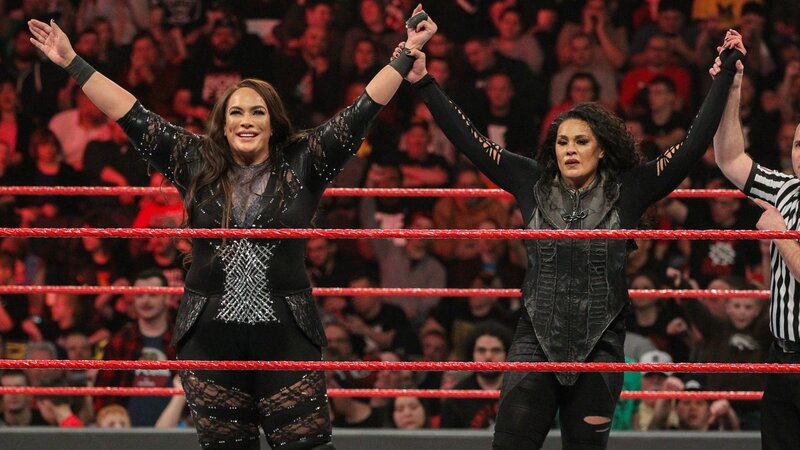 After the match, Nia and Tamina celebrated the victory. We go to the ring and out comes the WWE Women’s Tag Team Champions – Bayley with Sasha Banks. We see video from their post-match speech at Elimination Chamber after they won the titles. 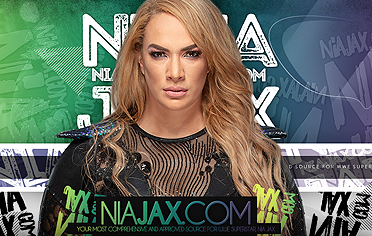 Out next comes Nia Jax with Tamina Snuka. Cole confirms these two teams will face off at Fastlane. The bell rings and Jax ends up dropping Bayley with a headbutt early on. Jax goes out but comes back in. Bayley with a hip toss for a 1 count. Bayley looks to mount some offense but Jax cuts her off and sends her to the floor hard. We go to commercial. Back from the break and Jax continues to dominate Bayley. Jax goes for moves twice but Bayley rolls out of the way each time. Bayley gets up and focuses on the knee now. Jax goes down face first as Banks cheers her on. Bayley looks to mount more offense but she stalls some coming out of the corner and Jax runs her over. Jax stands over Bayley and mocks her now. Jax ragdolls Bayley as we get a replay of Jax crushing Bayley coming out of the corner. Jax launches Bayley across the ring now. Jax uses the ropes on Bayley as the referee counts and warns her. Jax keeps Bayley grounded and ragdolls her some more in the middle of the ring. Banks tries to rally the crowd for Bayley. Bayley makes a comeback and unloads with stomps in the corner. Bayley charges in with a knee and sends Jax out of the ring. Jax comes back to the apron but Bayley drops her over the middle rope. Bayley with more offense and a dropkick that sends Jax back to the floor. Bayley keeps the attack going as Jax re-enters the ring. Bayley with a big knee in the corner. Bayley comes off the second rope but Jax catches her mid-move. Jax slams Bayley into the corner and turns her upside down in the Tree of Woe. Jax charges in and crushes Bayley while she’s upside down. Jax with stomps now. Jax grabs Banks by the hair as she checks on Bayley. Bayley decks Jax. Snuka runs over but Banks sends her into the steel ring steps. Bayley goes to the top and hits the big flying elbow drop on Jax for the pin to win. We go to the ring and out come the first WWE Women’s Tag Team Champions, Sasha Banks and Bayley. Bayley says she’s feeling it tonight, but last night was emotional for both of them. Bayley can’t believe they are standing here with the titles. Banks says this feels like a dream but it is definitely real, they really did this. Banks talks about how crazy it is to see how far they’ve come, from NXT to making history together. They go on about not being afraid, about having the same dreams, visions and goals. Banks says they put their hearts and souls into the women’s division and they will face anyone, anywhere, be it RAW, SmackDown or NXT. 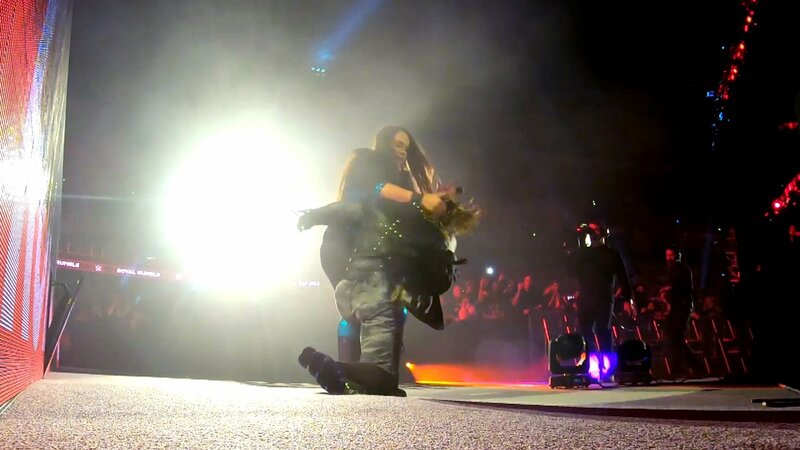 They say there is no stronger connection than the Boss ‘n’ Hug Connection. The music interrupts and out comes Nia Jax and Tamina Snuka to the stage. Jax mocks the champions and tells them to stop with the crying. Jax congratulates them and says they are cute in their matching outfits but they don’t get it. They go on talking trash as they walk to the ring. Jax points out how Banks always loses her titles on her first defense. Snuka sends a warning, saying they got lucky last night but their luck is about to run out now. Snuka and Jax rush the ring but Banks and Bayley fight them off, not letting them in. Banks grabs Jax and applies a Banks Statement under the bottom rope but Snuka pulls her to safety. Jax and Snuka retreat up the ramp as Bayley’s music hits. Banks and Bayley stand tall with their titles in the ring. The IIconics celebrate the first elimination. The other teams get up and surround The IIconics now. 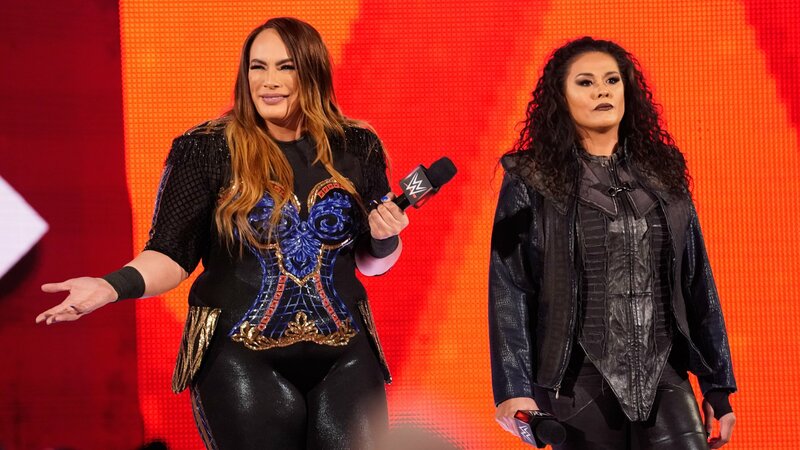 The timer counts down and here comes the final team – Tamina Snuka and Nia Jax. Jax and Snuka unload on their opponents and stand tall. The IIconics have locked themselves in a pod. Jax and Snuka overpower to break into the pod to get them out. Jax and Snuka ragdoll The IIconics now, tossing them back into the middle of the ring from the steel platform. Jax and Snuka hit double Samoan Drops to eliminate The IIconics. Liv and Logan immediately attack Snuka and Jax. They take out Jax and go to work double teaming Snuka. Jax makes the save and stops a pin attempt on Snuka. Deville and Rose double team Jax and Snuka now. Jax kicks out of a pin attempt by Deville. Banks and Bayley double team Deville and Rose in the ring now. Bayley with a big knee to Snuka in the corner. Banks follows up with knees of her own to Snuka. Banks and Bayley drop Liv next, then Logan as she charges. Banks and Bayley with a 2 count on Logan. More back and forth now. Banks with a close 2 count on Deville. Jax and Snuka take down Banks and Bayley again. Logan and Liv retreat to the top of a pod now. Liv leaps from the top of a pod, taking down Jax and Rose. Logan drags Deville over to the ring but Deville kicks out at 2. Jax grabs Liv from the second rope and hits a big Samoan Drop from the ropes. Snuka comes flying off the top with a Superfly Splash to Logan and Liv at the same time. Snuka covers them and gets the pin. Liv and Logan have been eliminated. Jax and Snuka keep control now. Jax tosses Bayley out to the steel. Jax ends up charging at Bayley but Bayley moves and Jax crashes into a pod, destroying it. Jax is laid out in the debris now. Snuka looks on and can’t believe it. We get a replay of what happened. Deville, Rose, Banks and Bayley team up on Snuka now. Banks with a top rope Meteora. Bayley with a top rope elbow on Snuka. Everyone covers with her and the team of Jax and Snuka have been eliminated. After the match, Jax and Snuka celebrate the Chamber match advantage. Alexa welcomes everyone and she says her guest is a man of mystery and she cannot wait to get to know him better. She brings out EC3. Alexa asks him if he is ready for his moment of bliss. You are young, good looking, and have a very large bank account. That makes you a hot commodity. You have been playing a little hard to get. She wants to know will it be Raw or Smackdown. EC3 is interrupted by Nia Jax and Tamina Snuka. Nia says no one cares and no one wants to see this blind date thing going on. Nia says we should be talking about her amazing week. She says she broke boundaries by entering the Royal Rumble match. Then she and Tamina qualified for the Elimination Chamber and the Women’s Tag Titles. 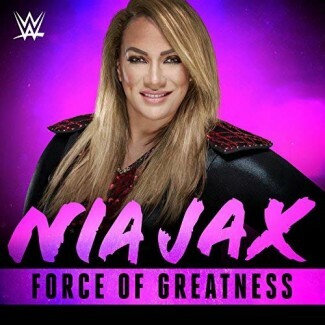 Nia says this is her moment. The world is talking about her and what will she do next. Maybe she will fill in for Becky Lynch at Wrestlemania. Maybe . . .
Dean Ambrose interrupts and Nia complains to Dean about him interrupting her interruption. Dean says he has something to say to Nia Jax. It is obvious that you have a huge crush on him. She is not the first woman to be confused by his animal magnetism. He tells Nia to stay away from him. 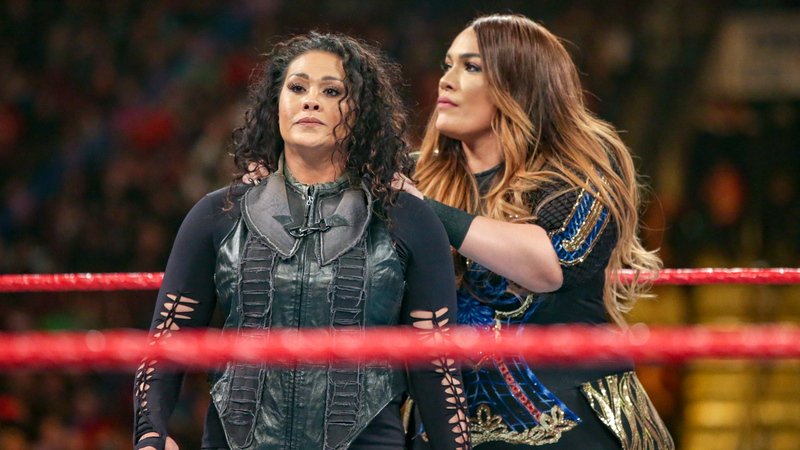 Get a new perspective on the assault that led to Nia Jax entering the 30-Man Royal Rumble Match.